Actually, this journal might have been a stupid idea! I need to ensure the anonymity of the people I study, and that is practically impossible if I write about it and take pictures of it. The silence during the past weeks was needed to find out how to approach this skilfully. I will try, but things will have to remain vague. I am an intern in a coffee company. So how is being an intern research exactly? Alternatively, I could have stayed in Burundi for a few weeks, ask questions about what I expected, go home, analyse and write up. 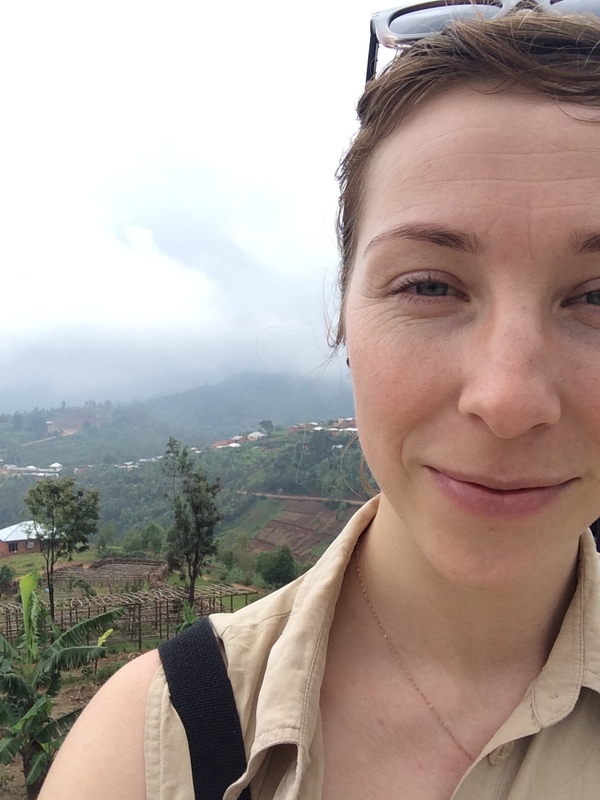 Instead, I am doing work here, and by doing the work I am learning so much more about the culture of Burundi, picking up nuances that I would have never thought of asking. I don’t just hear about the context for running a business in interview, I experience it. I experience the need for careful self-censoring. I have to avoid saying the wrong thing at the wrong time at any cost. I see that others (have to) do the same. Slowly, I pick up why that is so. I learn that constantly changing regulations define your activities in most illogical ways. I see the need to follow regulations. Also, I pick up the fear of devastating consequences of not following rules, aligned with the frustration of not understanding what the regulations are exactly. They are not understood by the followers of the rules, neither by the makers. They just have to be followed, at any cost. I experience what it means to run a business with electricity outages daily. How this affects running a business that does global trade in a change political and global climate is something I get to experience, not just ask questions about. As a researcher in training I see the immense value of that kind of knowledge. The challenges that come with that are endless too, more on that another time. For now, I see the value of it, and I cannot imagine learning as much as I do in any other way. Hear vivid and recent stories of them. Every story needs a setting. To understand and tell this story, I need to share with you how the setting is unfolding through my senses. One sense at a time. This post is about what I see. Mountains and hills as far as you can see. Always. Right now, I am sitting with my feet up, looking over Bujumbura, the capital city of Burundi. It is right at the northern end of Lake Tanganyika. 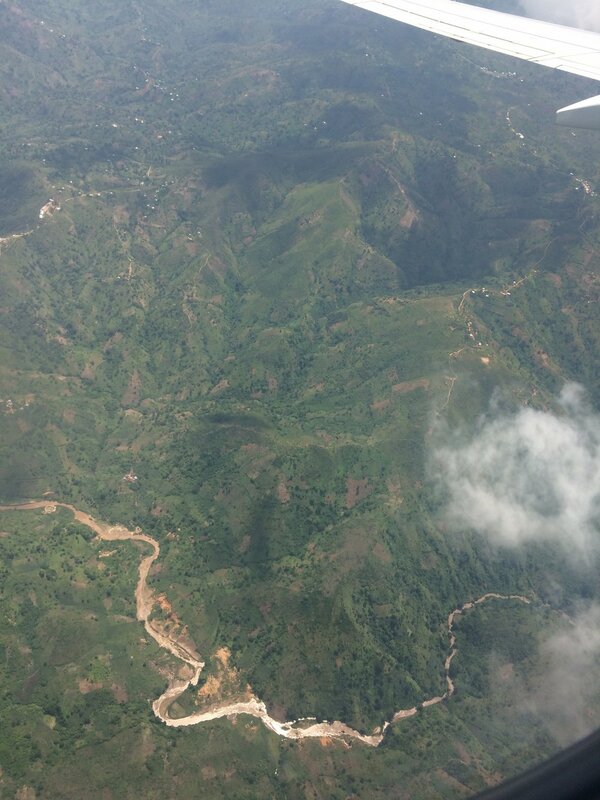 The beautiful Congo mountains are just on the other side of the city. The rainy season shower has come and gone for the day. The sun rays are making their way through the gaps of the remaining clouds. That is the city, and Congo in the clouds. Visited a washing station in Migoti on Thursday and I sat in a cloud. The clouds role in, over you and away. They are refreshing in the heat, and make the coffee growing here taste yummy. Steep slopes are all around, with plots of land in different sizes, directions and with different crops. There is not much forest around, but I know there used to be. Houses and huts are scattered around. Then there are people, people, and more people, and they are everywhere. This is a densely populated country, where most people live in the countryside. I have not spent one moment since my arrival without the presence of other people. Then there are scary looking people. People in uniforms and carrying guns. They sit on the side of the road and they stop you. Or they drive past you, sitting in the back of an open truck in groups of ten. Five guns point in each direction. I do not have a picture of that. I see goats, cars, and bicycles. I see coffee, and tea growing. I see fruits and vegetables, some familiar, some very strange. What I do not see is traffic lights. I see fear, I see hope and I see pride. More on those later maybe. Don't understand it, just see it. Landed safely in Burundi and the adventures have begun. Soaking it all in at the moment. Will share it with you this weekend. Driving up to a washing station on day one. Unexpected delays are the norm.